It’s just a shiny little seed, so how can something so small be so nutritious? Once you learn all the amazing ways flaxseed benefits heart health, lowers cholesterol levels, and even plays a part in regulating blood sugar, you’ll be using it every chance you get. Looks certainly be deceiving. This tiny little member of the seed family is actually a powerful superfood with enormous health benefits. As long as it’s ground up before you eat it, flaxseed is incredibly easy to incorporate into your daily regimen. 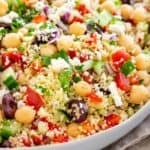 I’ll show you some great tips for getting more of this beneficial food into your meals, and explain why everyone needs more flaxseed in their life. Flax seeds, also known as linseeds, are the seeds of the flax plant. Every part of the flax plant has its use. Flax fibers are used to make linen and rope. Flax seeds are also used to make linseed oil, used in woodworking and carpentry. As far back as 30,000 years ago, flax has been cultivated and grown as a steady crop in Egypt, Switzerland, Syria, and China. And as if that’s not enough, this wondrous little seed scores huge in the health department, too. Like many seeds, flaxseeds have a slightly mild, nutty flavor so they’re ideal for adding to both sweet and savory foods. 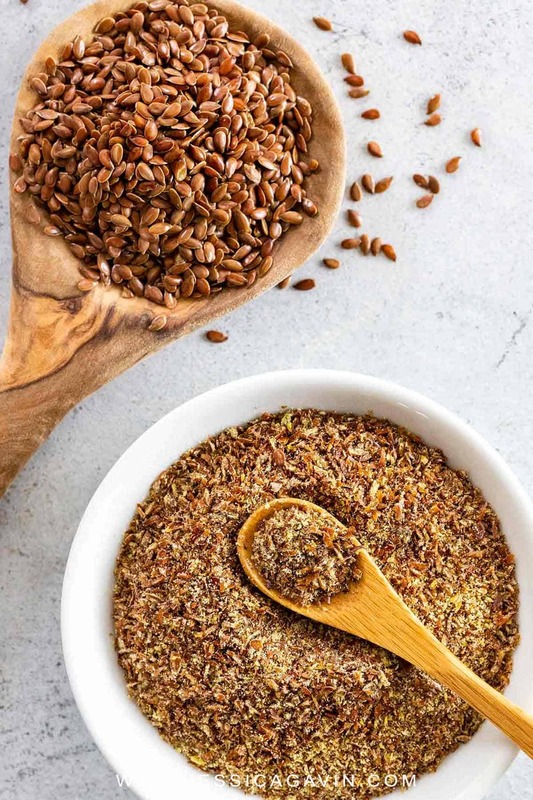 In case you’re wondering, children and picky eaters may not notice a little flaxseed meal when it’s added to their favorite foods in small amounts. Only the sturdiest and most tenacious plant could last thousands of years. Linum usitatissimum, Latin for “the most useful kind of flax,” is the variety of flax that’s cultivated for seeds. It grows in huge fields and it likes full-sun, cooler climates with well-drained soil. When the seed pods swell and turn brown after blooming, the seeds are harvested. Canada supplies the majority of the brown flax seeds, while North America grows the golden variety. There are two basic types of flax seeds, brown and golden, both found in health food and specialty stores. Most people find that the dark brown seeds have a somewhat stronger flavor than the golden seeds. Both are good sources of alpha-linolenic acid, although the dark seeds are slightly higher in ALA than the golden variety. For a more concentrated dose of all the benefits flaxseed has to offer, many people rely on flaxseed oil, which is extracted oil from the seed. Since it’s an oil, it’s richer than ground flaxseed, but it’s a wonderful supplement on its own. One teaspoon of flaxseed oil contains 40 calories. Not only can flaxseed oil be consumed, but it can be used directly on the skin to balance out minor skin problems, as well. Since whole flax seeds aren’t able to be fully digested by the body, they have to be ground up before you eat them. The best way to do this is in a small coffee grinder, spice mill, or even a mortar and pestle. Grind just what you need, though, because ground meal spoils quickly. Because flaxseed, flaxseed meal, and flaxseed oil are all light sensitive and can degrade with prolonged exposure to light, make sure you look for opaque packaging in the products you buy and read the recommended “use by” dates on the labels carefully. Thankfully, whole flax seeds can keep at room temperature for up to a year, but once they’re ground, the flaxseed meal should be used as soon as possible. Flaxseed oil can also go rancid if not used efficiently. Try to purchase smaller amounts of oil and pre-ground meal, and use what you grind in a short amount of time. Thickener in recipes: Using flax is a great way to naturally replace gluten-containing grains in recipes, especially baked ones; flax is usually easily metabolized. Egg substitute: That’s right! You can replace eggs in a recipe using finely ground flax seed. Use one tablespoon of flax seeds and three tablespoons of water, combined, to replace one egg. The seeds have a gelatinous quality that emulsifies much the way an egg would. Smoothies: For a morning jumpstart, add a tablespoon or two of ground flaxseed meal into a smoothie or shake. Your day just got a little healthier! Baking: Ideal for cookies, muffins, pancakes, and quick breads: If you love to bake, coarsely ground flaxseeds can be added to any of these to boost texture and nutrition. Salads: Drizzle some flaxseed oil over roasted vegetables, or add the chopped seeds as a last minute topping. If you like, switch out olive oil and make a vinaigrette out of flaxseed oil. Snacks: Flaxseed oil can be sprinkled on popcorn or the ground meal can be mixed with herbs and spices and used to make your own crackers or baked chips. Oatmeal: With flaxseed meal, oats just got a lot smarter. Shake overcooked oatmeal or pudding made of soaked chia seeds with a little cinnamon and brown sugar. Granola and breakfast bars: If you make your own energy bars or granola, add ground flax meal to the recipe. Hint: because flaxseed oil has such a low smoking point, (225) avoid cooking with it. However, it does make a wonderful neutral oil for seasoning cast iron pans. If you’re on a low carb, Whole30, or Paleo specific diet, incorporating the healthy fats that seeds offer into your diet is especially important. Flax seeds and flaxseed oil are highly recommended for their low carb properties and their high quantities of essential fatty acids, edging out even chia seeds, which have slightly lower levels of omega-3 fatty acids. Furthermore, those following strict plant-based diets will benefit from flaxseed oil, as it favorably compares to fish oil in terms of omega-3s. Omega-3 essential fatty acids, known as the “good” fats that have been shown to have heart-healthy effects. Research indicates that flaxseed could reduce the risk of cardiovascular disease and certain types of cancer, like prostate cancer and breast cancer. Besides that, essential fatty acids keep skin, nails, and hair shiny and healthy. Lignans, which have both plant estrogen and antioxidant qualities, promoting hormonal balance. Flaxseed is the highest source of lignans in the plant world; it contains 75 to 800 times more lignans than other plant foods. The lignans in flaxseeds may help both menopausal and postmenopausal women alike. Fiber. Flaxseed contains both the soluble fiber and insoluble fiber, which can help with regulating blood sugar, promoting weight loss and preventing constipation. Soluble fiber can also help reduce LDL cholesterol levels. Polyunsaturated fatty acids such as alpha-linolenic acid. The alpha-linolenic acid and related chemicals in flaxseed oil seem to have anti-inflammatory properties. That is why flaxseed oil is considered useful for rheumatoid arthritis and other inflammatory diseases. Choline, which contributes to brain health and function. How to make flax eggs as a vegan substitute for eggs in baked goods. Combine ground flaxseeds with water in a small bowl. Allow the mixture to sit for 5 to 10 minutes before using. The consistency should be thick and viscous. Use immediately in the recipe. I also just received a diverse seed order : flax seeds – pumpkin seeds – sunflower seeds – so your recommendations how to use the flax seeds are very welcome. I am using flax seeds for last 4 to 5 years in oatmeal and smoothies. I use little less often in the summer time since it is hot in characteristics. It is used as horse feed in winters in some countries. I eat flaxseeds with bananas. I don’t have a blender, please advise Jessica. Thank you.